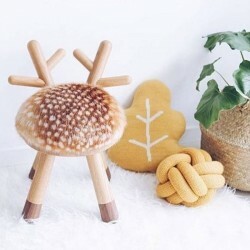 The Cow Chair designed by Takeshi Sawada is an object made from the heart, a true sculpture of fine art and a children's chair. 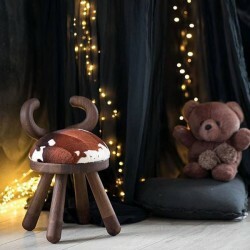 Cow Chair is the new companion for Bambi chairs. 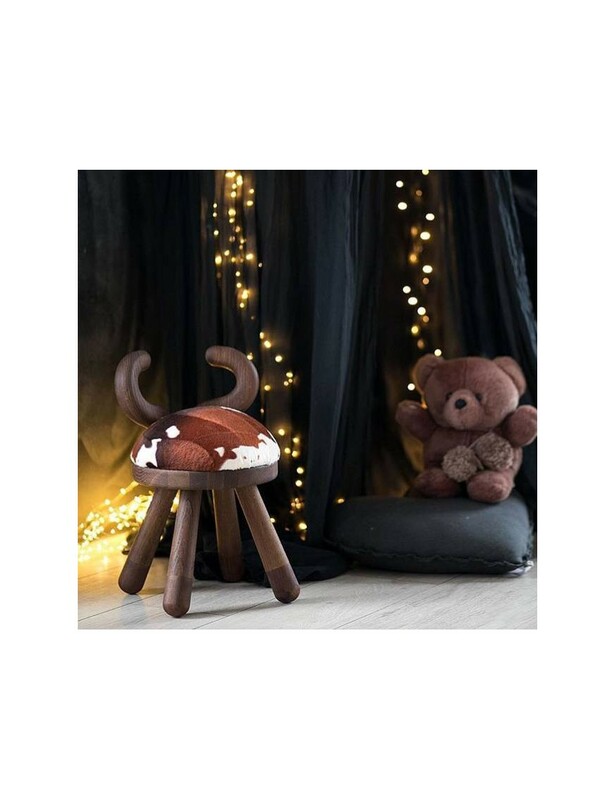 It has a sculptural back formed like small horns and a dark appearance matching the seat in faux cow skin. Cow Chair is made in fine European smoked oak with feet in walnut.